Mallow/Charleville Community Mental Health Team have moved to the new state-of-the-art Mallow Primary Healthcare Centre. This new and exciting development is an important step in addressing the ongoing challenge of reducing the stigma and fear experienced when as individuals we find ourselves in emotional and psychological distress. 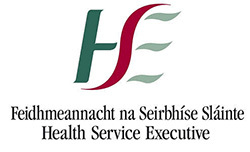 This new level of integration of services will facilitate a new and enhanced way of working in partnership for health professionals based in MPHC and in developing new innovative holistic and accessible responses for service users. The focus of the Mallow/Charleville Community Mental Health Team will be a recovery orientation informing all aspects of service delivery. Developing links between primary care services, voluntary groups and the wider community working to enhance and promote mental health and wellbeing. The involvement of service users and carers in service development and delivery. The development of an Acute Day facility based in MPHC. This new innovative service intends to offer choice to clients and families in how the acute and recovery phases of illness will be treated and coordinated by the Multi Disciplinary Team and aims to reduce the necessity and frequency of hospitalization.